Product Information : A sun-loving herb valued as an ornamental groundcover. 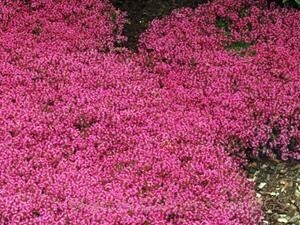 Forms a dense, flat mat of evergreen, dark green leaves that are smothered in bright magenta-red flowers. Bronze foliage in fall.